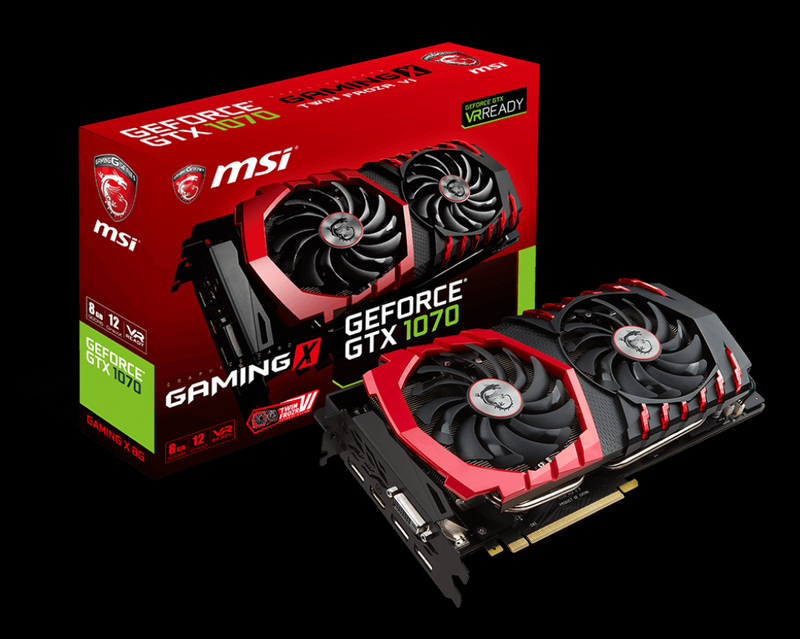 MSI has just announced the release of their full line-up for the NVIDIA GTX 1070 series GPU’s. The line-up will include the GTX 1070 Aero 8G, Aero 8G OC, Armor 8G, Armor 8G OC, Gaming X 8G, and Seahawk X. Here is what MSI has to say about their latest product line. MSI proudly introduces its latest cutting edge GeForce® GTX 1070 graphics cards based on NVIDIA’s new Pascal GPU with feisty looks and extreme performance. 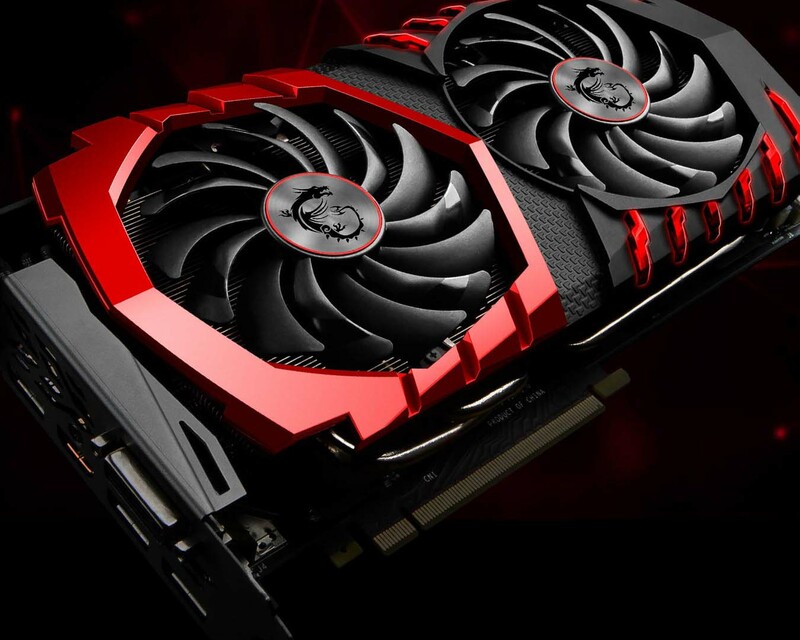 Building on the monumental success of MSI’s award winning GTX 900 GAMING series, the MSI GeForce® GTX 1070 GAMING X 8G features the impressive TWIN FROZR VI thermal design allowing for higher core and memory clock speeds for increased performance in games. The famous shapes of the eye-catching TWIN FROZR cooler are intensified by a fiery red GAMING glow piercing through the cover, while the MSI GAMING dragon RGB LED on the side can be set to any of 16.8 million colors to match your mood or build. A completely new custom 10-phase PCB design using Military Class 4 components with 8+6-pin power connectors enables higher overclocking performance to push your graphics card to the max. The classy matte black solid metal backplate gives the card more structural strength and provides a nice finishing touch. MSI’s new TWIN FROZR VI Thermal Design raises the bar of Graphics Card air cooling. TORX Fan 2.0 is the enhanced version of the patented TORX Fan technology which generates 22% more air pressure for better cooling performance while further reducing noise levels. The new fans are equipped with Double Ball Bearings to ensure lasting smooth and silent operation. Connected to the huge heatsink are 8mm copper heat pipes with a squared shape at the bottom for optimal heat transfer from the solid nickel-plated copper baseplate combined with premium thermal compound X to keep the Pascal powerhouse cool. 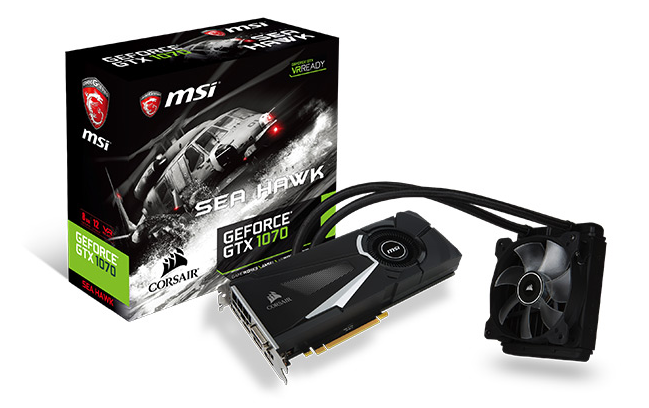 The MSI GeForce® GTX 1070 SEA HAWK X is the result of a revolutionary partnership which combines MSI’s top-notch graphics card engineering with the popular Corsair Hydro Series liquid cooler. This ensures that the SEA HAWK X stays at least as cool as it looks while providing extreme gaming performance thanks to vastly increased clock speeds out of the box. Dressed in a fashionable Black & White design inspired by advanced armor shielding, the MSI GeForce® GTX 1070 ARMOR 8G OC is perfect for gamers and case modders looking for something unique and different. The new ARMOR 2X Thermal Design uses the patented TORX Fan technology also found on the award winning TWIN FROZR V graphics cards and Advanced Airflow Control for enhanced cooling performance. MSI’s Zero Frozr technology stops the fans in low-load situations such as web browsing or light gaming to remain fully silent. 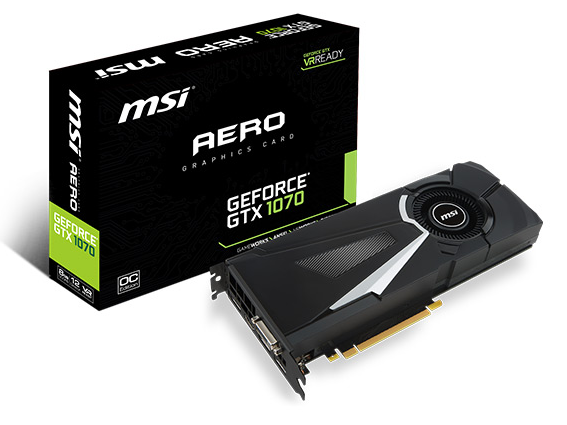 Sporting a sleek Black & Silver look, the MSI GeForce® GTX 1070 AERO 8G OC will look great in any build. 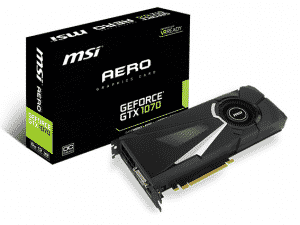 The new AERO graphics cards It features a new thermal design built around a radial fan which pushes all the heated air out of the PC via a rear exhaust, keeping the rest of your components cool. To fully enjoy the impressive world of Virtual Reality, high-performance hardware is required. 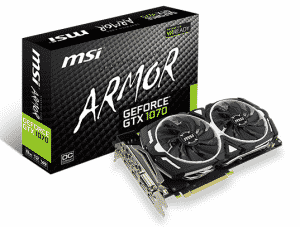 MSI GeForce GTX 1070 graphics cards deliver perfect performance for a smooth VR experience. The MSI Gaming App now features a function to optimize PCs for smooth VR performance. 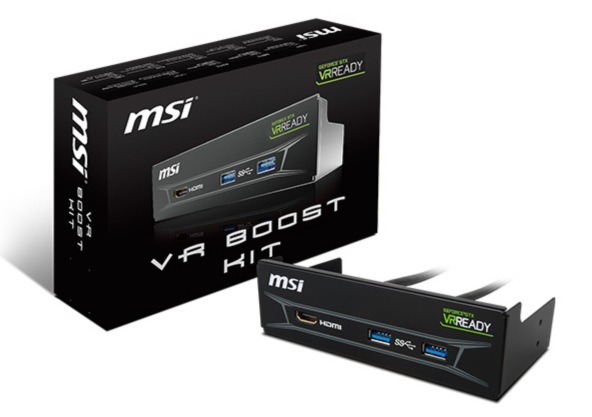 MSI also introduces the VR Boost Kit, which makes VR more user-friendly by making all the required connections for VR accessible in a single 5.25 inch front panel. 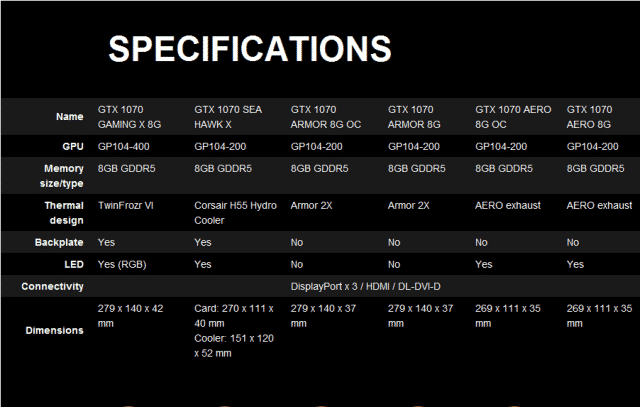 In addition to the press release MSI has provided Overclockers.com with a Specifications chart for the up coming GTX 1070 line-up.